As the MOTUL FIM Superbike World Championship heads into its final quarter of the season, MOTUL and Dorna WSBK Organization are delighted to announce the championship will have the backing of the French oil company as it prepares to make its debut around Circuito San Juan Villicum in Argentina. 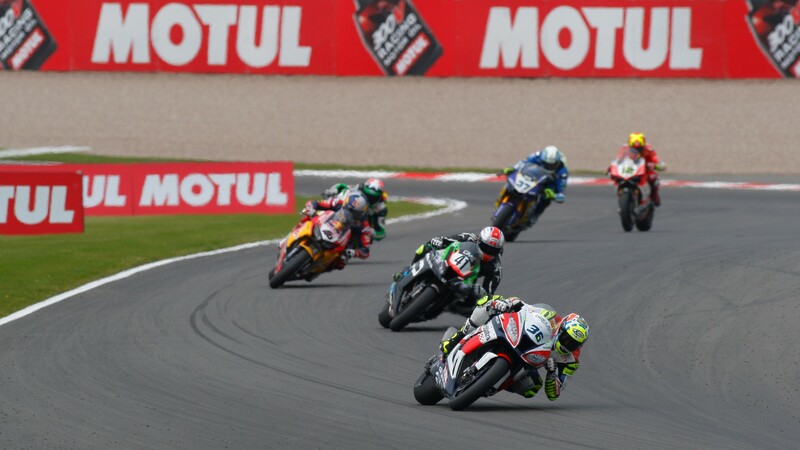 Heading into the 12th round of 13, the MOTUL Argentinean Round will be a pivotal round for all riders, and we could see championships won and lost as WorldSBK takes on South America. Fans have been treated to some sensational racing action so far in 2018, with six different winners and nine podium finishers throughout the season and the final four races promise to offer the same – if not more – action. But it’s not only been on track action we have seen, as fans have enjoyed the extra support from MOTUL in the various fan zones all over the world. With MOTUL stands on display, there have been many hours enjoyed as they continue to offer fans the Pure SBK® experience. A producer of high-performance motor oils and industrial lubricants for 160 years, MOTUL has a long history in motorsports and a strong association with the racing world. Not only offering their oil products, they now excel in providing fans with stunning hospitality and off track experiences, keeping a strong connection with the passion of racing. All of which can be seen in a WorldSBK paddock, and will no doubt be welcomed in Argentina. Don’t miss any of the action from the penultimate round of the season as WorldSBK prepares to debut around Circuito San Juan Villicum, from 12th – 14th October.